Jameon's Closet is a children's book about the importance of expressing feelings. With fun and colorful graphics and a humorous story, Jameon's Closet is a gentle and non-threatening lesson in acknowledging and respecting thoughts and emotions. Maribel’s Rainy Day is a story about coping with worry. It is meant to help kids weather the storms of bad memories and daily worries that keep them from reaching their fullest potential. A to Z Mindfulness: A Coping Skills Coloring Book for Kids is a fun and interactive way for kids to practice mindfulness and coping skills. Each page offers a mindfulness activity and a positive affirmation. 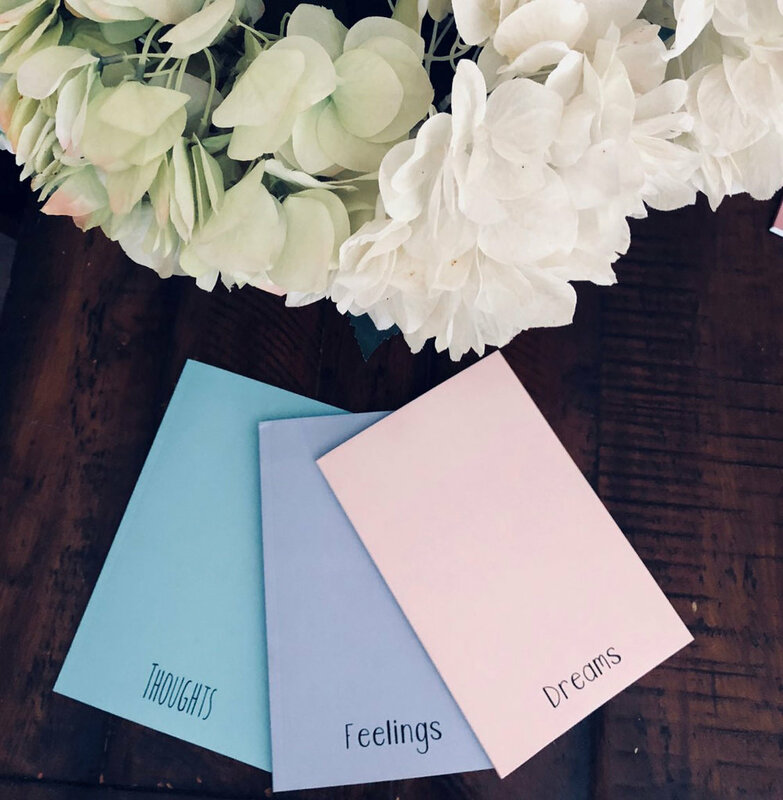 These bright and simple 6in by 9in themed journals are perfect for taking notes, making lists, brainstorming, practicing mindfulness and journaling. Themed journals for kids are also available.